As a scientist, I’ve learned that tigers are very fasinating. 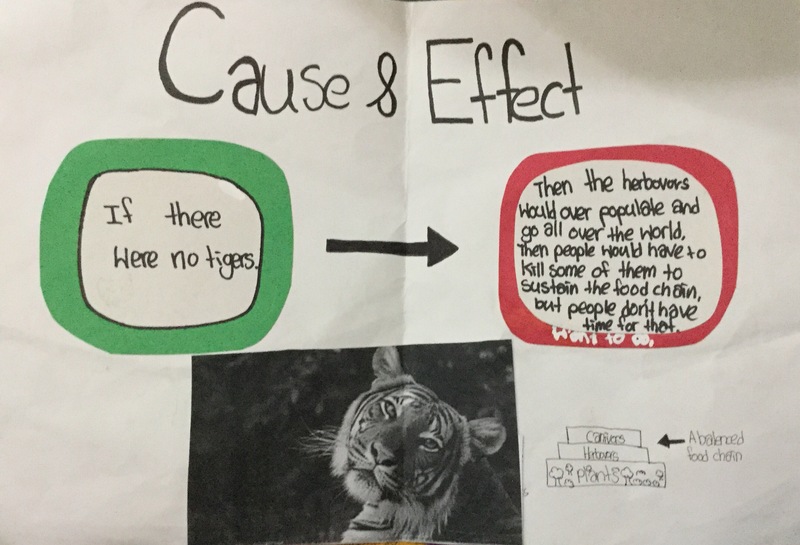 For example, when I chose tiger as my topic I obviously researched about them, and I found so many facts about them. Another example, I also read books about them, I thought I knew a lot about them, but turns out that I just know the basics about them. After reflecting on my work in science, I realize sometimes when I’m jotting about my topic, I sometimes write information that is not needed. To fix that problem, I should probuly ignore those facts and write the important ones. Oh and I also made a model of it. And this is my model for my topic Tigers.